Remember the George Steinbrenner-led, "Bronx Zoo" Yankees of the late ‘70s/early ‘80s? The managerial carousel that spun under his tyrannical regime? In his quest for a winning formula, The Boss hired and fired Billy Martin no less than five times. In his first 23 seasons as owner, he changed managers on 20 occasions. “All I know is, I pass people on the street these days, and they don't know whether to say hello or to say goodbye,” Martin famously joked. Tennis has its own revolving doors when it comes to the hiring/firing of coaches. The recently retired Ana Ivanovic had some Steinbrenner-esque qualities of her own. The former No. 1 and 2008 Roland Garros titlist worked with Sven Groeneveld, Craig Kardon, Heinz Gunthardt, Nigel Sears, Nemanja Krontic and Dejan Petrovic. Then she reunited with Sears. SEE ALSO: Defending champion Sloane Stephens keeps winning, reaching the US Open fourth on Friday with a win over two-time finalist Victoria Azarenka. It might seem like an extreme example, but the Serb’s story is not that uncommon in the sport. Hall of Famer and 2003 US Open champ Andy Roddick went from Tarik Benhabiles to Brad Gilbert to Dean Goldfine to Jimmy Connors to his brother, John, to Larry Stefanki, always seeking the right recipe. But there are also examples of players who stick it out with their coaches over the long haul. James Blake was often criticized for sticking with Brian Barker, and only toward the end of his career did the Harvard grad change to Kelly Jones. The same could be said for Rafael Nadal, who remained loyal to his uncle, Toni, for most of his career. Defending US Open titlist Sloane Stephens is among the latter camp. 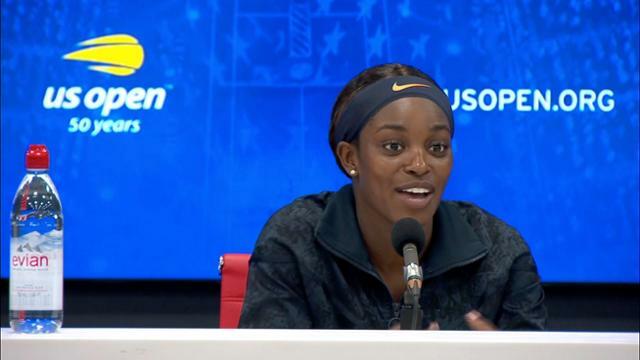 August 31, 2018 - Sloane Stephens reacts to beating Victoria Azarenka at the 2018 US Open. August 31, 2018 - Sloane Stephens in action against Victoria Azarenka at the 2018 US Open. August 31, 2018 - Victoria Azarenka in action against Sloane Stephens at the 2018 US Open. August 31, 2018 - Victoria Azarenka walks out on court prior to her match against Sloane Stephens at the 2018 US Open. August 31, 2018 - Sloane Stephens walks out on court prior to her match against Victoria Azarenka at the 2018 US Open.